We straddle two realms, analog and digital. The output of a sensor, musical instrument, the human voice, and most of the signals that originate in the real world are analog. Today most information processing is digital. This works well in terms of audio and video quality, but analog data must be converted by an analog-to-digital converter (ADC) and back to analog by a digital-to-analog converter (DAC). These two processes are mirror images of one another but they are accomplished in far different ways. In this article we’ll take a look at ADCs and in the next article, DACs. There are numerous ways of converting analog data to digital, but all ADCs accomplish the same objective relatively accurately and quickly. The way this process takes place varies widely with different types of ADCs. What they all have in common is that they sample the analog signal amplitude at discrete time intervals and assign binary numbers to each of these snapshots. Later, after processing and storage in memory, the digital signal must be reconstituted in analog form. This takes place by assembling the digital snapshots in temporal order and interpolating between them to recreate the original analog signal as modified while in digital form. Direct (flash) conversion. This protocol uses a number of comparators, each wired across a resistor that is part of a voltage divider. Each comparator samples the analog signal continuously and generates a logical 0 or 1 depending on whether the measured voltage is above or below a reference voltage of the resistor tap. (Modern devices may use active elements in place of the resistors.) This simultaneous operation makes the conversion process fast but a large number of comparators are needed to synthesize meaningful numbers of bits. Thus the implementation is expensive and sometimes unreliable. Successive approximation. This is a type of ADC that uses a single comparator to progressively home in on the output of a local DAC. Basically the DAC produces an analog output that rises until it equals that of the analog input to be measured. The digital code corresponding to this level becomes the representation of the analog input. Thus it takes multiple steps to acquire a digital product that has a specified resolution. Ramp-voltage comparator (aka Integrating ADC). The ADC synthesizes a ramp waveform that is continually compared to the analog input, producing a digital solution at the correct level. Other common ADC types are the Wilkinson ADC, the delta-encoded ADC, a sub-ranging quantizer, a sigma-delta ADC and a time-interleaved ADC. Each of these involves conversion schemes of varying levels of complexity. They are manufactured as integrated circuits. By consulting the data sheets we can match the specifications to an intended application and design the overall equipment on that basis. 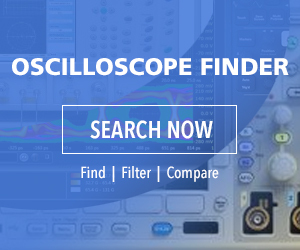 Obviously some anticipated uses such as for the audio channels of an oscilloscope are demanding in terms of bandwidth and reliability. Many choices are available.